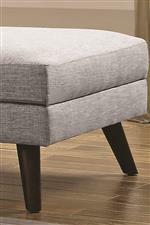 The Churchill Mid-Century Modern Ottoman with Tapered Wooden Legs by Coaster at Value City Furniture in the New Jersey, NJ, Staten Island, Hoboken area. Product availability may vary. Contact us for the most current availability on this product. Create the perfect sectional for your space and lifestyle with this mid-century modern collection. Keeping it simple, this group offers just three versatile options to configure into your perfect sectional. Whether you need a sofa, loveseat, or spacious sectional, this group allows you to piece together your choice of corner sofas, armless chairs and ottomans to design a sectional that optimizes the space your working with. 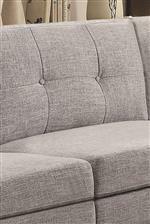 Complete with tall, angled legs and button tufted cushions, this sectional group will add enough seating for the whole family without sacrificing the mid-century modern style everyone is after. The Churchill collection is a great option if you are looking for furniture in the New Jersey, NJ, Staten Island, Hoboken area. 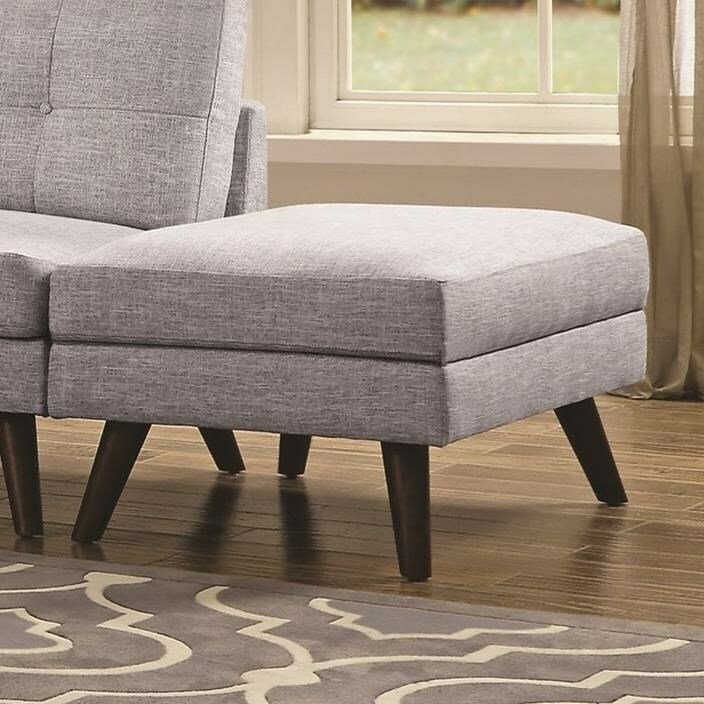 Browse other items in the Churchill collection from Value City Furniture in the New Jersey, NJ, Staten Island, Hoboken area.